I am not a stress eater. I am a stress cooker. When I’m feeling overwhelmed I head to the kitchen. My go to? Comfort food. Usually when I make meatloaf or mac-n-cheese, it’s for more than two people. 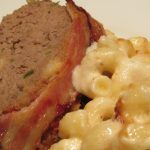 Now that Justin’s in college I’ve learned to cook for two and that how this meatloaf and mac-n-cheese for two recipe was born. Before I get into the recipe, let me tell you what’s been going on lately. First off, I’ve been feeling really unsettled since the election of our newest president DJT. There just seems to be a general feeling of unrest in the air. And whether I want to admit it or not, I AM affected by this sense of unrest that’s just hanging in the air. On top of that, for the last four years I’ve been working as a solutions consultant for a web development company AND as a freelance marketing consultant. I started picking up more freelance work to augment my income to cover college expenses. For the last six months or so, I’ve been transitioning the part-time work to full-time. Introducing . . . Marketing Kangaroo! I’m also co-publisher of another lifestyle website. So, yeah, things have been a little nuts. I am finally beginning to see the light at the end of the tunnel but this week was just TOO MUCH. Thus the desire to cook up some comfort food to help me get back to center. Okay I’m calling this a recipe for two, but the truth is that you will have some leftovers. Not a lot, but enough to make a nice meatloaf sandwich the next day. You can’t be mad at me for that. 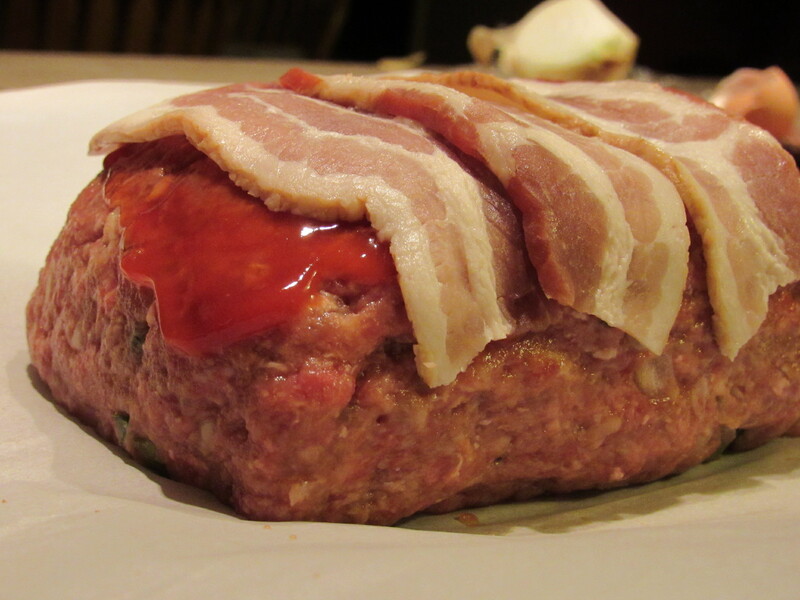 For the meatloaf, preheat the oven to 350F. Place a piece of parchment paper (optional) on a rimmed baking sheet and set aside. In a large bowl combine all the ingredients. 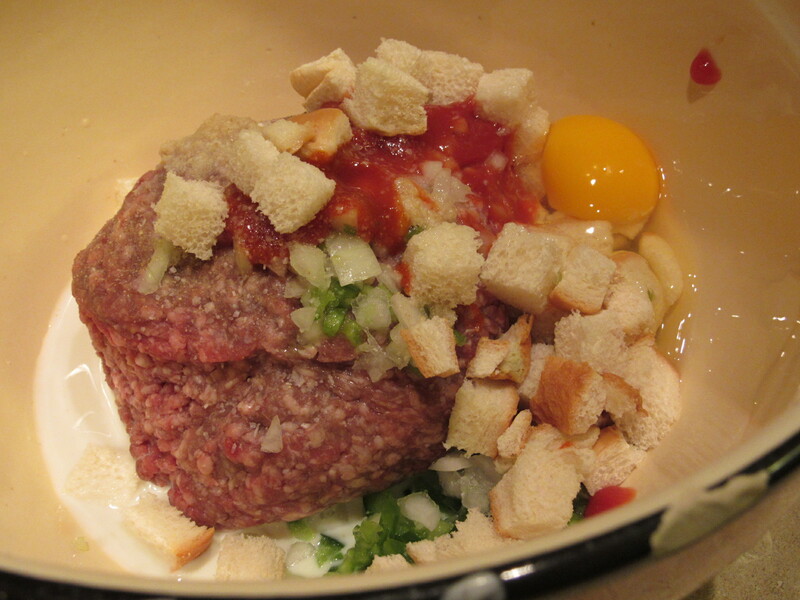 Tip: work the egg, milk and bread together – off to the side in the same bowl – and then gently incorporate into the meat. 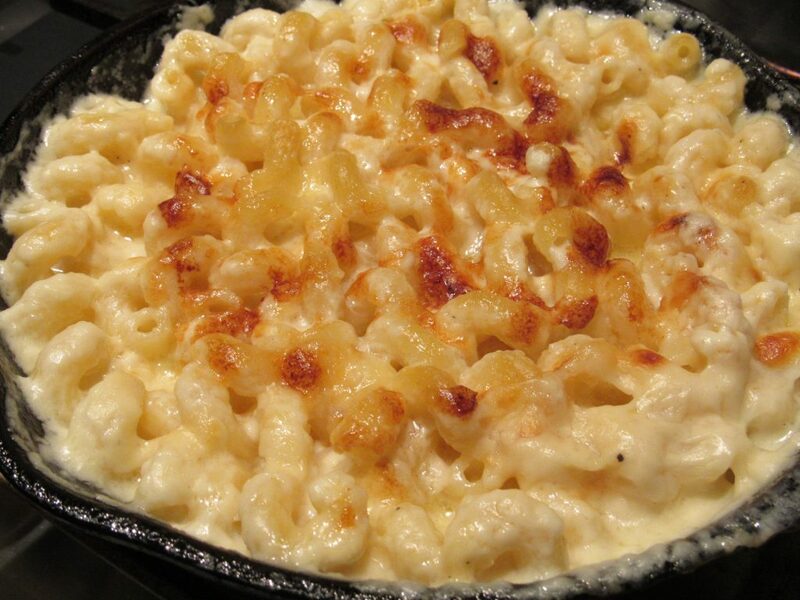 For the mac-n-cheese, bring a pot of salted water to a boil. Carefully shape the mixture into a loaf and place on the parchment paper. 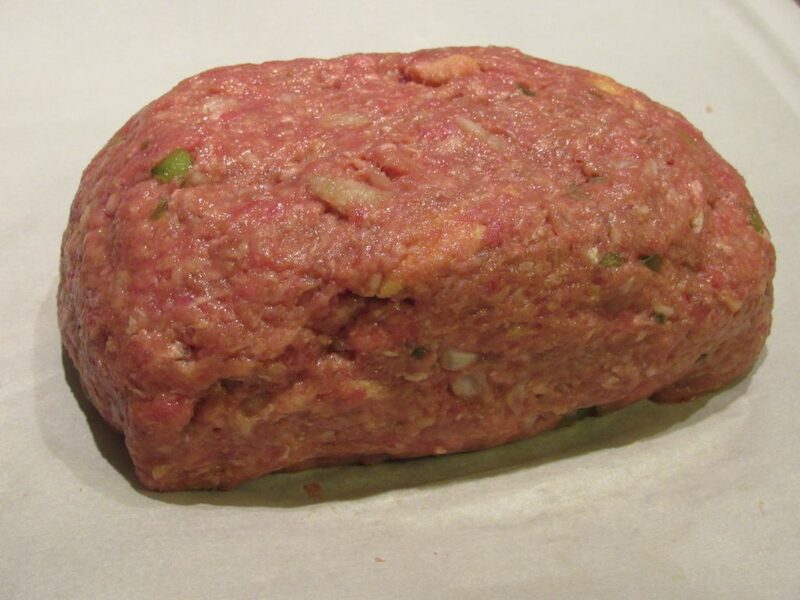 I used to bake my meatloaf in a loaf pan but I don’t do that anymore. I like to use a fattier beef blend (85%). I think it makes a more tender, flavorful loaf. By putting the loaf on a baking sheet, the extra fat from the beef and bacon doesn’t accumulate in the loaf pan. Spread some ketchup on top and add the bacon. Bake for 40-45 minutes. The bacon should be nice and crispy when the loaf is done. If the meatloaf is done (internal temperature of at least 140F) but the bacon isn’t, just broil for a few minutes to crisp up the bacon. 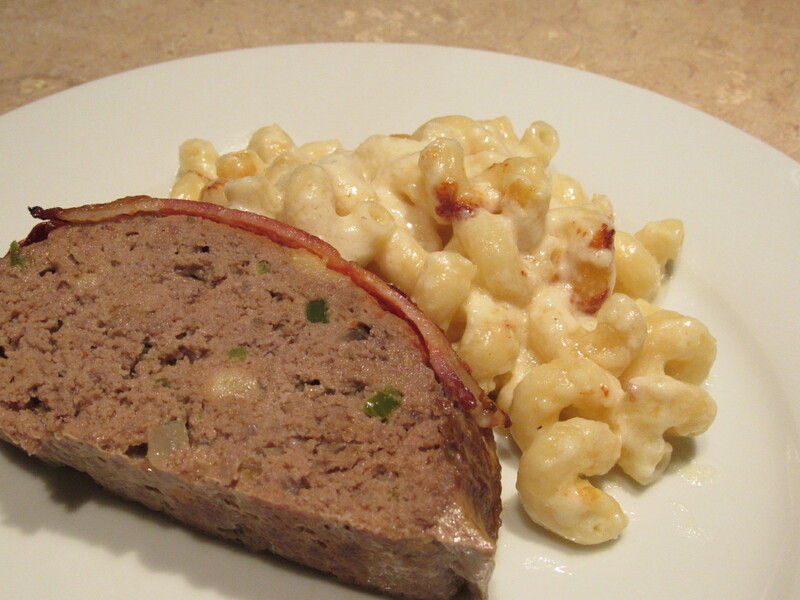 While the meatloaf is baking, make your mac-n-cheese. Add your pasta to the boiling water. While the pasta is cooking, grate your cheese. 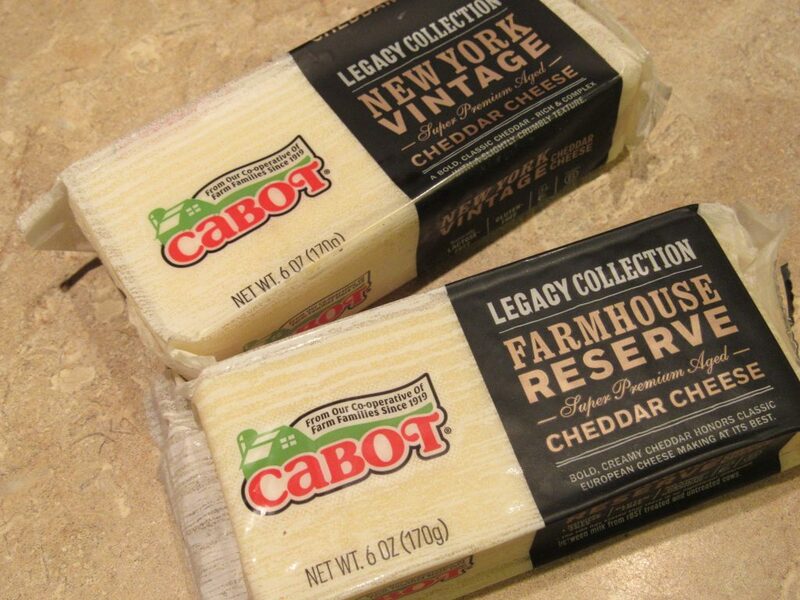 As you know I am a die-hard Cabot cheese lover and am a member of their Cheese Board. That means I get a goody package filled with cheese and other fun stuff from them several times of year. This way I get to try new cheese (which supports my cheese addiction) and share with you guys! Time to move on to making the roux for the cheese sauce. To make the roux, just melt the butter in a medium sized sauce pan over medium heat. Once the butter is melted, sprinkle in the flour. Whisk together and let cook for a minute or two while whisking the whole time. Slowly add the milk. Keep whisking. As the sauce thickens, add the cheese, dry mustard and onion powder. 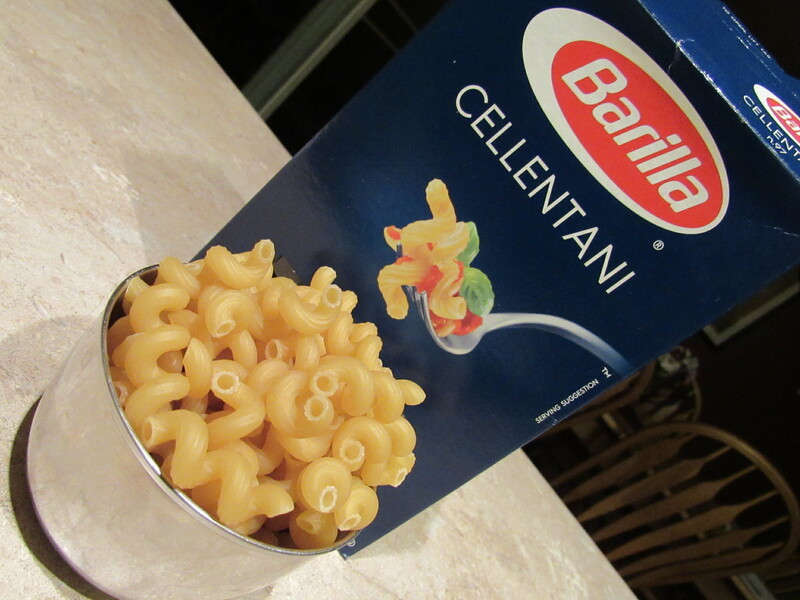 Be sure to check your macaroni too. Don’t overcook. 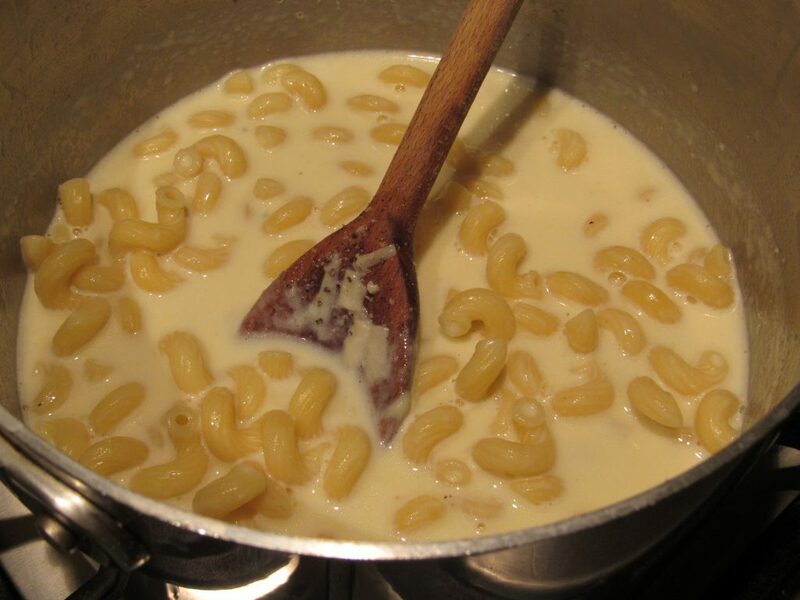 Once the macaroni is cooked al dente, add to the cheese sauce. Stir together and then put into a casserole dish. 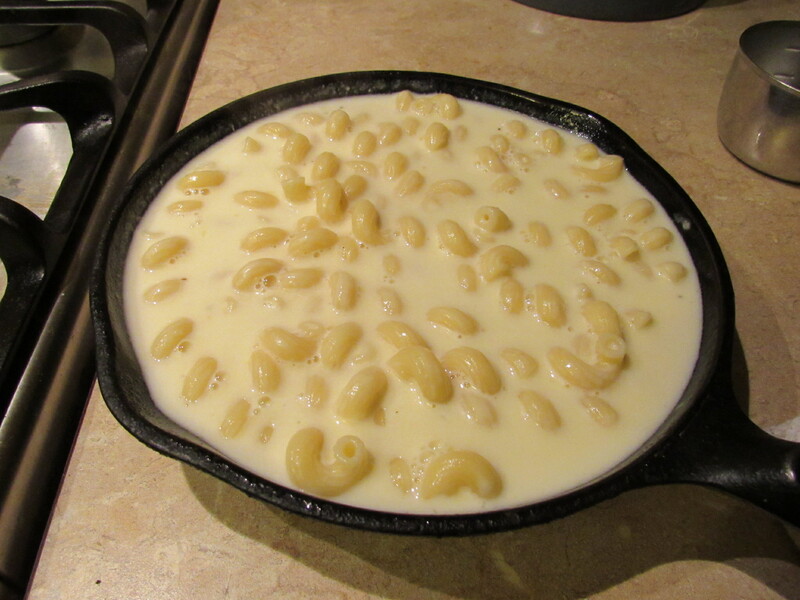 I used a small cast iron pan. Place in the oven with the meatloaf and bake until golden on top. It should take about 20-25 minutes. Totally hit the spot! And just what I needed. And the meatloaf sandwich the next day was tasty too!